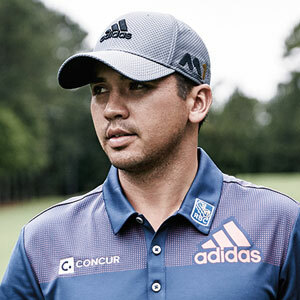 Australian golfer Jason Day has confirmed he is ready to return to the PGA Tour at this week’s Masters Tournament after taking a break to be with his mother. Two weeks ago the world number three gave an emotional press conference after withdrawing from the WGC – Dell Technologies Match Play. Explaining his mum was about to undergo surgery for lung cancer and he felt he needed to be with her. It was painfully obvious how difficult Day was finding the situation as the 29-year-old fought back tears throughout the announcement. Last week it was reported that his mother, Dening’s surgery went well and that she was home resting. Over the weekend Day announced he felt he was in a better place and ready to play at the first major of season. Arriving at Augusta for the Masters tournament late last week the former world number one spent time practicing his short game and playing three rounds of nine-holes. Predict the 2017 Masters Winner To Win £100 Voucher! While Day has yet to win a green jacket, the one-time major winner has finished in the top-three twice at Augusta. But after an emotional start to the year Day’s main objective is on getting back to enjoying his time on the course and being able to remain focused on his rounds. Masters Monday: swingOIL, practice, family, train, play. REPEAT.